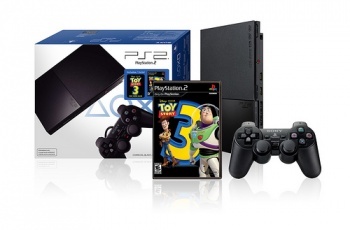 Sony is working on bringing PS2 backwards compatibility to the PS4. Backwards compatibility has been somewhat of a contentious talking point this generation. Originally spurned by both Sony and Microsoft, Microsoft surprised everyone by revealing that an update would make the Xbox One backwards compatible with a large number of Xbox 360 games. No-one was more surprised than Sony themselves, who were left scratching their heads in the aftermath. But if there's one thing tech giants can do, it's play catch-up, and so we have now heard that Sony is working hard on bringing PlayStation 2 emulation to the PS4. Not quite as good as PS3 backwards compatibility, but it's a start. "We are working on utilizing PS2 emulation technology to bring PS2 games forward to the current generation," a Sony representative told Wired magazine. "We have nothing further to comment at this point in time." Furthermore, it looks like this tech is already out there in the wild, as a bundle available now at retail includes a PS4 console and Star Wars: Battlefront, along with a selection of bonus classic PS2-era games: Super Star Wars, Star Wars: Racer Revenge, Star Wars: Jedi Starfighter, and Star Wars: Bounty Hunter. Back in June, Sony Worldwide Studios boss Shuhei Yoshida said that "[backwards compatibility on PS4] would be super challenging to do so. I never say never, but we have no plans." He pointed out the very unique architecture of the PS3 as the biggest challenge, which may explain why Sony is skipping over the PS3 and heading straight to the PS2.